According to human rights activists, the prison population in Georgia has more than trebled in the six years of Mikhail Saakashvili's presidency. They also claim that charges are often fabricated. Revaz Kldiashvili was arrested and sentenced to five years in jail following the protests in Tbilisi in November 2007. He was among thousands who took to the streets of the Georgian capital demanding President Mikhail Saakashvili's resignation. Revaz was formerly a high-profile figure, the head of the military police when Irakly Okruashvili was Defence Minister. He was an ardent supporter of Okruashvili, dubbed the ‘rebel minister’, who later received an 11-year sentence for corruption. That was after he set up a new opposition party and then accused top officials, including the president, of public dishonesty and murder. Georgia’s defence minister from December 2004 till November 2006. In September 2007 he formed an opposition party and was arrested on corruption charges after accusing President Saakashvili of numerous crimes. The arrest sparked mass protests in the capital, Tbilisi. Released on bail, Okruashvili moved to Berlin and then to France, where he was granted political asylum. In April 2008 a Georgian court found him guilty of large-scale extortion and sentenced to him to 11 years in prison in absentia. The Georgian authorities requested Okruashvili’s extradition, but in September 2008 France’s court declined the request. Georgian businessman, founder of the first Georgian media holding Imedi. Before 2001 he was doing business in Russia as a partner of the now exiled Russian billionaire Boris Berezovsky. In spring 2006 Patarkatsishvili expressed strong criticism of President Mikhail Saakashvili’s policies, for which he was dubbed ‘a secret leader of the Georgian opposition’ by the authorities. The businessman then left Georgia for London and sold a part of his media assets to Western partners. In September 2007 Irakli Okruashvili claimed that the president had held talks with him concerning the possible murder of Patarkatsishvili. 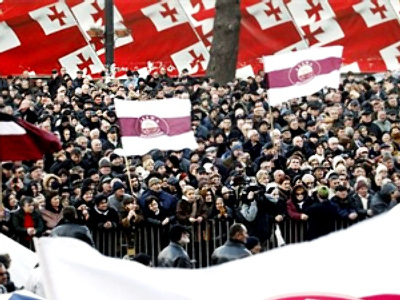 In November 2007 the businessman took part in an anti-Saakashvili rally which was dispersed by police. After that he stated he was ready to give all his money ‘for the liberation of the country from Saakashvili’s fascist regime’. A day later a legal case was initiated by the Prosecutor General’s Office on charges of plotting a coup in Georgia. In January 2008 Patarkatsishvili was sentenced in absentia to two months in prison. Patarkatsishvili died from a heart attack in London in February 2008. While Georgian officials deny there are political prisoners in the country, human rights watchdogs claim their number is on the rise. Georgian Ombudsman Sozar Subari claims that in the three years since the 2003 Rose Revolution, the number of prisoners in Georgia has more than trebled – from 6,000 to 20,000 – giving Georgia the second highest prison population per capita in Europe. Subari says many of those cases were politically motivated. “Many were brought to trial only for the fact that they dared to block the street or participated in protest actions, for the fact that they belong to the political opposition. Many were beaten up for sharing the views of the opposition. Many cases were framed as weapons or drugs were planted on people,” he stated. 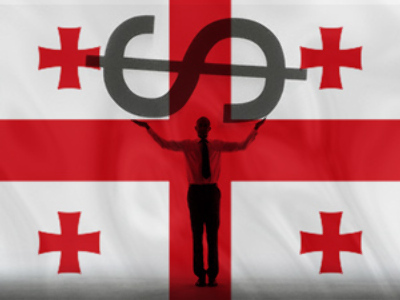 While Mikhail Saakashvili continues to talk about a democratic Georgia, some openly doubt its principles. “The Saakashvili regime continues political persecution against its opponents, which shows that we live in a police-ridden state, based on outlaw and violence, ignoring international law and its own constitution,” believes Irakly Okruashvili's lawyer Eka Beseliya. The activist group the «7th of November» was created after the violent suppression of opposition demonstrations in Tbilisi almost a year and a half ago. Twice a month they gather in the Georgian capital to try to get their message across. Their slogans are always the same but the number of protesters has dropped dramatically as young people say they don't want to go to jail for calling for freedom.